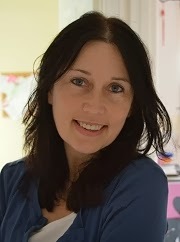 I got the chance to talk to the absolutely hilarious Jackie Buckle, who is also so lovely, about her 2014 debut, "My Facebook Friends are Ferrets" which is published next month by Curious Fox! 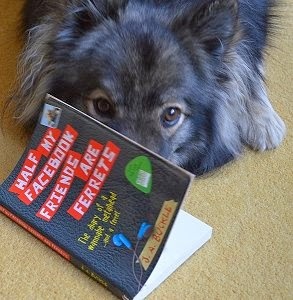 Jackie is also blogging - from her main character, Josh's perspective, over at Facebook Ferrets! Hi Jackie! Welcome to A Day Dreamer's World! How do you think you will feel when you are published? I think I will feel relieved, scared and excited all in one. Relieved it’s happened. Scared no one buys the book! And excited because at last I’m published after so long trying - Yay! Where were you when you found out that you were getting published and what was your reaction? I was actually just at home in the back bedroom working away at my day job when Catherine from Curious Fox rang. When she told me, I tried to sound calm and professional but actually, if she’d been telling me in person, I’d have probably run up and kissed her – lucky escape there Catherine! Did you always want to be an author or was it something that surprised you? When I was a teenager I wanted to work with animals. I wasn’t smart enough to be a vet but I did do a degree in Zoology which lead to a temporary job in one of my favourite places, the Natural History Museum in London. After that I somehow got working in libraries and then I thought, maybe rather than shelving books I should try writing them. 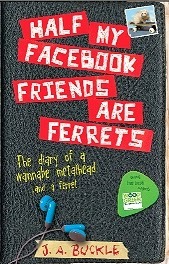 Can you give us a quick synopsis for your book, "My Facebook Friends are Ferrets"? It’s the diary of 15 year old Josh, a wannabe metal-head and ferret lover who is desperate to achieve certain goals before his birthday such as kissing a girl and getting his dream death-metal guitar. Unfortunately his mum is super strict and stops him doing lots of things like growing his hair, but just when he thinks he will never achieve his dreams he discovers a secret that changes things forever. My teenage daughter Sophie; she’s a bit of a metal-head herself. Are there any characters or events in the book based on real-life experiences? Yes, most of them are based at least in part on people I know, but exaggerated a bit. They will probably guess who they are if they read the book and then will never talk to me again! What was the writing-process like for you? Did you plan out Facebook Ferrets or did you just see what happened when you started writing? I did plan it out roughly first, otherwise I would go off on so many tangents I’d probably never finish it. But I do think it’s good to be a bit spontaneous too. I don’t think writing a book should be done to a formula. How long did your novel take you to write? First draft about 4 months, subsequent drafts about two and a half years! And I still keep seeing areas where I could improve it – too late now though! How were you able to find the right 'voice' for your main character Josh? Was it easy/difficult? Weirdly easy. I don’t know what this says about me. Hmm… next question. What made you decide that you wanted to right Josh's diary? Well this will sound like the biggest cliché imaginable but it actually came to me in a dream. Seriously, I know that sounds stupid but it’s true! Jackie's dog Lexi is a keen-reader! Bullying is one of the topics discussed in the book - something that is always talked about on this blog - was it important to you that you did include some serious topics? Absolutely, I wanted to include bullying and other important issues, such as lack of self-esteem. I have a bit of personal and work-based experience of some of the problems that can affect young people and I know that they can be really traumatic. I tried quite hard to get a balance between humour and realism. Anywhere I am not disturbed too much by daughters or dog, whilst having ready access to the fridge. If Facebook Ferrets was going to be made into a movie, who would you cast to play the main characters? Now that’s a great question! Well Mr Pitman could be played by Johnny Depp maybe or Brad Pitt … Dream on Jackie! I think my daughter’s boyfriend would make a good Josh. He’d have to cut his hair though and he won’t do that for anyone. And we could have Jennifer Lawrence for Maddie. I think she’s just about feisty enough! What was you currently working on? Is there a sequel or are you working on something new? Yes, I’ve written a sequel, it covers some more serious issues including addiction and anxiety but hopefully it’s also funny. Smoky bacon crisps feature in it a lot! You can also follow Jackie on Twitter! Thank you! Curious Fox always find such great books; definitely one of the best publishers! I think I'd be so funny to record some of my dreams; although mine have gone from being incredibly weird, to quite boring, as all my thoughts are on school at the moment! Thank you, Hawwa! My dreams feel incredibly...rubbish, at the moment. I'm so stressed about school, they're just a blur of things going wrong! I really want to hear about these dreams; even though I'm slightly freaked-out! Hmm...that sounds interesting. Poor Amber! Thank you, Sunny! Dreams are such interesting things; I wish I knew more about them! I've got the same problem, Sunny!